One of seven Brussel’s Sprout plants were removed. There are about two to three pounds of cabbages from each plant, approximately six servings. The top half were excellent but the bottom half were insect damaged somewhat. The plants grow well in my area. The plants are left in the ground and can be picked during the Winter. 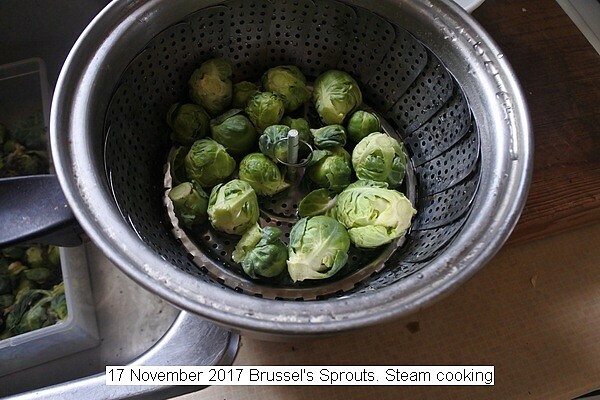 This entry was posted in Uncategorized and tagged 17 November 2017 Brussel's Sprouts, Brussels Sprouts. Bookmark the permalink.